Many of the pieces I tattoo make use of multiple layers of elements, which could easily get crowded if not for some careful planning. I usually start by asking myself which elements are the highest priority- that is, what do I want the viewer to notice first?- and then designing so that those elements stand out. 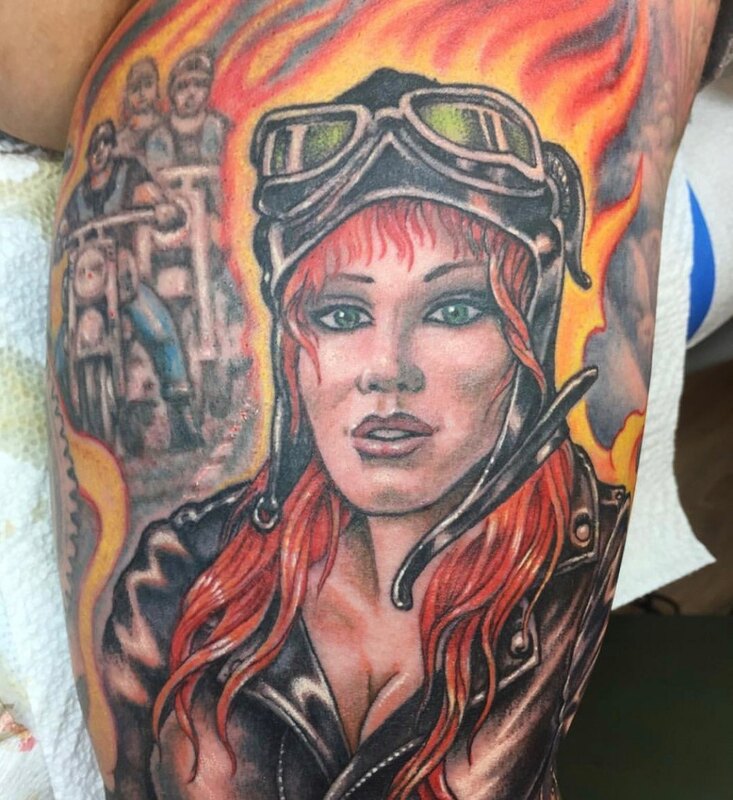 In this classic biker babe sleeve I made use of line weight, contrast, focus and color to make her face stand out. You can read all about my approach to this design in the Priority chapter of your ReinventingTheTattoo.com subscription!